LinkedIn, the social platform for professionals to connect with other professionals. What a great concept, although one that we think is either being underutilized, or used in the wrong ways. We believe that a great LinkedIn profile can have a meaningful impact on your career. Whether you are looking to create your profile or take yours from good to great, the following paradigm shift and steps will help you do so. The trick is to not think of this as a CV, but more like your own professional overview or pitch. A CV is very specific, full of the facts and details, whilst a sales pitch is more emotive. The problem is that when people consider their LinkedIn profile to act as a CV, it fills up with information and becomes so long and detailed that no one ever reads it. A LinkedIn profile on the other hand that acts as your pitch, should make people want to work with you, want you in their company or want to be in your sphere of influence. Ultimately, leading people to desire to see your CV. Imagine if employers or potential clients read your LinkedIn profile and wanted to work with you? That’s where we believe your LinkedIn profile can be of the greatest value. The thing with LinkedIn, is that it can be very ‘salesy’. There’s heaps of people making ‘cold call’ emails by saying things like “Hi – your profile looks great and I’d like to share my connections with you. Connect with me and I can help you connect with my audience.” They then spam you with sales emails about their products and services. They all sound legit but, I’ve rarely seen them used to genuinely help people. To be honest –  all the emails saying people are viewing your profile can be a little bit of a distraction! The good news is, there’s a stack of great people and great connections on LinkedIn that you can genuinely benefit from. And, there is a way that you can be absolutely human and authentic, whilst presenting yourself in such a way that causes people want to meet you personally. Think of your LinkedIn profile as the first conversation you have with someone at a networking event. They don’t need your full list of past experience straight up. Want 10 Steps to creating your LinkedIn pitch? Subscribe below. Thank you for joining the conversation. You will receive a confirmation email shortly. Make sure you confirm your subscription, and the 10 steps will be emailed to you directly. If you can’t find your email make sure you check in your junk folder, if it is still lost, then please don’t hesitate to email us directly and we can sort it out. 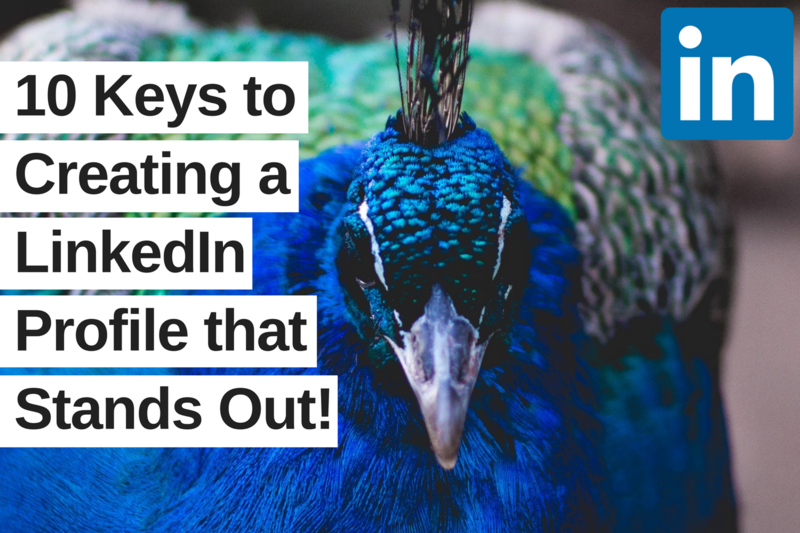 Want to take your LinkedIn profile from Good to Great? Join our mailing list to see 10 practical ways you can do so and receive the latest news and updates from our team.